AA597R Archangel 5.97 Rifle. Convert your Remington 597* rifle into the Archangel 5.97 Rifle (Advanced Rimfire System) The Archangel allows you to use modern accessories and optics on your Remington 597* rifle. Manufactured entirely from Mil-Spec battle proven polymers, the Archangel is no toy. Note: Pictured with optional front and rear rail mount sights. Sight sets can be purchased below. 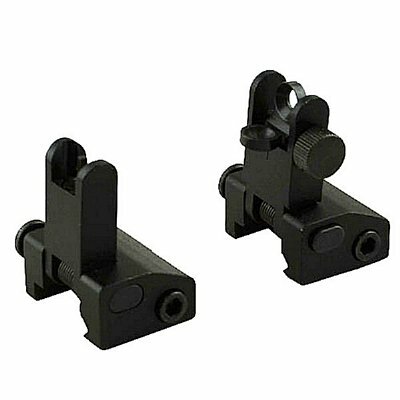 Latest sight set release for the Archangel stock, out micro metal sight set. Push button sight set flips up and down, spring loaded for quick deployment. Set includes one front and one rear sight.